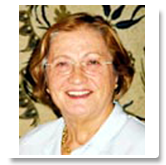 Dr Irma Piovano is the Scientific Director of CESMEO (International Institute for Advanced Asian Studies), Torino and the editor of Orientalia, CESMEO's series on Oriental Studies. She is an Honorary Vice President of the International Association of Sanskrit Studies, "Vachaspati" D.Litt., Honoris Causa degree awarded by the Shri Lal Bahadur Shastri Rashtriya Sanskrit Vidyapeeth, and the President of the Editorial Committee of Indologica Taurinensia, The Journal of the International Association of Sanskrit Studies. She is active in many academic boards related to South Asia. Her main field of interest are the legal and social aspects of Classical India and the spreading of Sanskrit culture in the South-East Asia. Her publications include, for example: "Carucaryasataka di Ksemendra" (in Orientalia Iosephi Tucci Memoriae Dicata, ed. G. Gnoli and L. Lanciotti, III, Roma, 1988, pp. 1119–1142); The Daksa-smrti. Introduction, Critical edition, Translation and Appendices by Irma Piovano, Foreword by Oscar Botto, Torino, 2002 (Corpus Juris Sanscriticum, vol. 1); "Some aspects of civil law in Kautiliya Arthasastra" (in Research Bulletin of the Vishveshvaranand Vedic Research Institute, vol 2, 2003, pp. 169–187); "About dharmasthas and their jurisdiction in the Arthasastra of Kautilya" (in Encyclopaedia of Indian Wisdom: Prof. Satya Vrat Shastri Felicitation Volume, 2 vols. Delhi-Varanasi, 2005, 1st vol. pp. 390–399); "Sociological and juridical aspects of Dice-play in Ancient India" (in Logic and Belief in Indian Philosophy, Warsaw Indological Studies, vol. 3, 2007, pp. 551-568, as well as many other contributions in Italian and French.